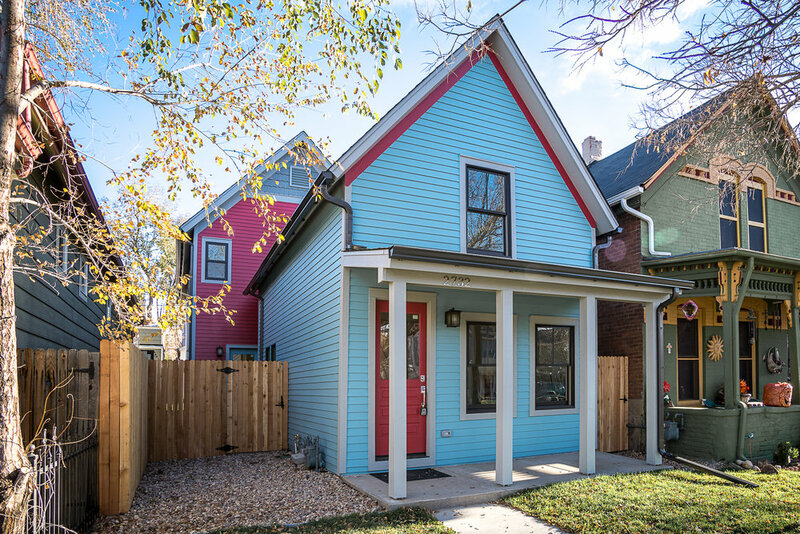 The Arapahoe Residence is a restoration and an addition to a tiny historic structure located in central Denver. It was designed to preserving the original structure and add on to the rear to provide a modern open floor plan. The design creates a vaulted space for the living and dining rooms in the original structure and then adds a modern kitchen and family room which opens to the rear garden space. 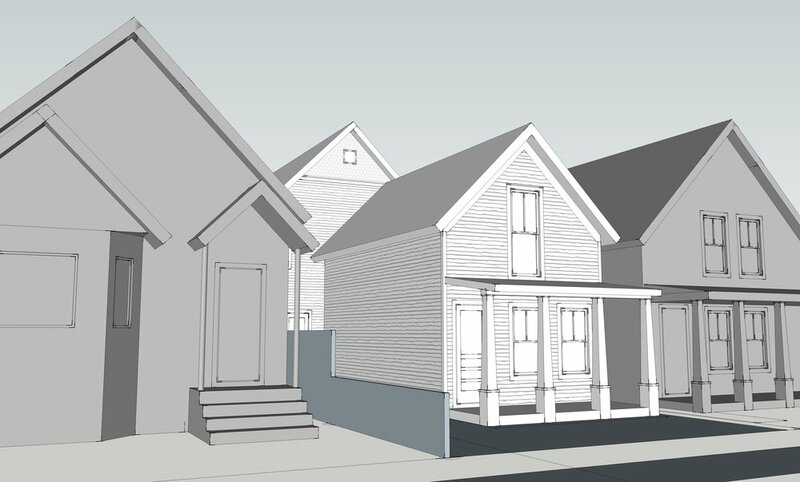 The design is playful in working with the historic front structure and uses materials, scale and form to add an addition that enhances the original structure while creating the space for a more modern urban home. We worked with the neighborhood groups and the landmark historic district to create a lovely lovely modern home within the historic neighborhood of Denver.